It currently takes days to test a patient sample to find out if they have an infection, what they are infected with and to which drugs that infection might be susceptible. This can lead to a delay in treatment or the wrong treatment being prescribed. According to the Centers for Disease Control and Prevention (CDC), there are over two million cases of drug-resistant bacterial infections every year, so identifying the correct treatment is more important than ever. In less than three hours, OpGen’s system can do what current systems take two to three days to achieve. The company will first file for approval for testing in bacterial isolates in early Q219, then follow up with an application to test directly from urine samples in Q419 and another for its Lighthouse software in H219. It will first focus on complicated urinary tract infections (cUTI), of which there are around one million cases per year. OpGen announced a collaboration with the New York State Department of Health and Merck’s ILUM Health Solutions to develop a tool to track infectious disease and antimicrobial resistance across New York State. Through this agreement, OpGen will gain access to hospitals across New York, which will increase product penetration. The company will receive $1.6m over the first 12 months during the demonstration portion, with full implementation expected over the next five years. We arrive at a valuation of $47.3m or $2.68 per basic share (post Q119 equity offering), driven mainly by the Acuitas AMR Gene Panel and Lighthouse products. Key valuation inflection points over the next 12–18 months will be FDA 510(k) clearances for both key products as well as the subsequent commercial launch. We expect the company to require $41m in financing before profitability in 2023. OpGen is a US-based precision medicine company, which is attempting to use its proprietary platform to fight drug-resistant infections. OpGen’s chairman and CEO is Evan Jones, a molecular diagnostics industry veteran, who had been previously the CEO of Digene, which was sold for $1.6bn to Qiagen. OpGen’s main focus is the Acuitas AMR Gene Panel molecular test and the Acuitas Lighthouse bioinformatics product, which allow for the detection of five pathogens as well as 47 resistance genes and mutations, while also predicting resistance across nine different antibiotic classes in less than three hours, a major improvement over the two to three days that current methods require. OpGen expects to file a 510(k) application with the FDA for the AMR Gene Panel in early Q219 and follow up with an application to test directly from urine samples in Q419. It also expects to file a 510(k) for its Lighthouse software in H219. Assuming six-month review times, OpGen should have a full suite of products necessary for its commercial launch available in H120. We arrive at an initial valuation of $47.3m or $2.68 per basic share, which is based on a series of assumptions about the key components of the company’s platform, namely the Acuitas Gene Panel and Lighthouse products. We assign a 40% probability of commercial success, which blends FDA and commercial risk in equal proportion. While 510(k) applications typically have high clearance rates (85% in 2018), De Novo 510(k) applications (which the Gene Panel test for urine samples and Lighthouse software are) are cleared at a lower rate (64% in 2018). The commercial risk stems from the fact that this is a competitive area so an additional risk parameter is warranted. We estimate $174m in peak sales, which represents penetration into around 10% of hospitals. OpGen reported $4.6m in cash and cash equivalents at the end of 2018 and raised an additional $5.0m in net proceeds in an equity offering in late March (gross proceeds of $5.4m through the sale of 9m shares at $0.60/share), which is enough to fund the company into Q419. We model an additional $5m worth of financing for 2019, and $41m in total through to profitability in 2023. In the near term, the key risk for OpGen is regulatory as it will need to have three separate 510(k) clearances, starting with the AMR Gene Panel in bacterial isolates (ie samples that have already been cultured), moving on to a De Novo 510(k) clearance to test directly from a urine sample and culminating in another De Novo 510(k) clearance for its Lighthouse bioinformatics software to analyze the data. 510(k) applications typically have a very high success rate of around 85% with six-month review times but the approval rate is lower (64% in 2018) and the review time longer for De Novo 510(k) applications (typically eight to nine months). While the regulatory risk is not particularly high, it is not to be ignored either. There are also commercial risks. The main customers for OpGen’s products are hospitals, which are notorious for long sell cycles and cost sensitivity. Also, clinical pathology is a very competitive area in which OpGen will be competing with a number of established players and new entrants. The Acuitas AMR Gene Panel, in combination with the Acuitas Lighthouse software, appears to provide a best-in-class product, especially with regards to the cUTI market. However, best in class does not always win the day in gaining accounts. There is also intellectual property risk. There are no issued patents related to the Acuitas products, although three are currently pending. OpGen plans to file additional patents, but until patents are issued it is hard to tell exactly what the intellectual property-based barriers to entry are. Of course, there are other barriers, such as know-how. OpGen was founded in 2001 and publicly listed in the US in 2015. The company has three main product lines/families including legacy FISH tests (which they acquired through a merger with AdvandDx in 2015) currently on the market and approved for use in the US and EU, the Acuitas AMR Gene Panel and Acuitas Lighthouse bioinformatics system. 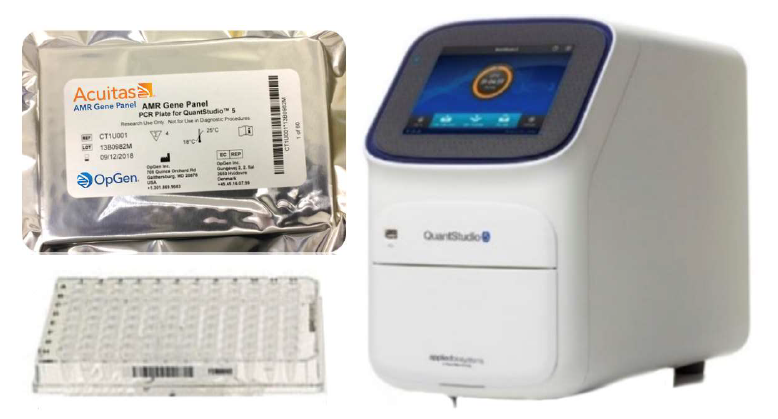 12 legacy QuickFISH and PNA FISH products, which are used for the rapid detection and identification of various pathogens, including Staphylococcus, Enterococcus, Gram-negative bacteria and Candida, with pathogen identification and differentiation information coming 20–90 minutes after positive blood culture results. FDA cleared and CE marked. Provides microbial identification and antibiotic resistance information. Available on the market for research use only (RUO). 510(k) application in bacterial isolates expected in Q219 and De Novo 510(k) for urine in Q419. Bioinformatics platform that combines Gene Panel test results with patient and hospital information to help manage drug-resistant infections and predict resistance to nine classes of antibiotics. Review on Antimicrobial Resistance. Antimicrobial Resistance: Tackling a Crisis for the Health and Wealth of Nations. 2014. Chaired by Jim O’Neill. Zimlichman et al., Health Care-Associated Infections: A Meta-analysis of Costs and Financial Impact on the US Health Care System. JAMA Internal Medicine. 2013 Dec 9-23; 173(22): 2039-46. Source: Zimlichman et al., Health Care-Associated Infections: A Meta-analysis of Costs and Financial Impact on the US Health Care System. JAMA Internal Medicine. 2013 Dec 9-23; 173(22): 2039-46. While new classes of antibiotics do help, that help is temporary as resistant strains are identified just a few years after a new antibiotic is introduced. Therefore, the best way to minimize the impact of infections in the long term is faster identification of the pathogen and any potential resistance so that the correct antibiotic can be administered from the beginning. This helps reduce the amount of time that the patient is affected by the infection (according to one study in patients with septic shock, every hour that effective antimicrobial therapy is delayed reduces survival by 7.6%3) and reduces the risk that the infection spreads to other patients. Kumar et al., Duration of hypotension before initiation of effective antimicrobial therapy is the critical determinant of survival in human septic shock. Critical Care Medicine. 2006 Jun; 34(6): 1589-96. OpGen has a two-pronged approach: the Acuitas AMR Gene Panel identifies five pathogens and 47 resistance genes and mutations, while the Acuitas Lighthouse bioinformatics system predicts the resistance to 14 antibiotics based on information obtained from the Merck SMART Pathogen Archive (which has more than 250,000 samples), thousands of pathogens from hospitals and patient hospital data. The Acuitas AMR Gene Panel is a qualitative and semi-quantitative nucleic acid-based in vitro diagnostic test that is currently optimized for the cUTI market, which will be the initial focus commercially, as the five pathogens it detects (namely E. coli, E. faecalis, K. pneumoniae, P. mirabilis and P. aeruginosa) represent approximately 88% of all cUTIs.4 Importantly, the test is able to detect resistance genes regardless of the original pathogen, so the resistance data are not limited to the five target pathogens. Flores-Mireles et al., Urinary tract infections: epidemiology, mechanisms of infection and treatment options. Nature Reviews Microbiology. 2015 May; 13(5): 269–284. 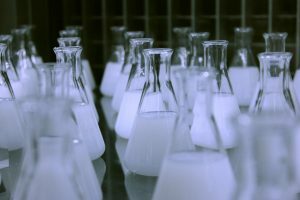 The company announced in February that it has completed the clinical trials necessary for its first 510(k) submission for the Acuitas AMR Gene Panel in bacterial isolates, which is currently expected to occur in early Q219. In total, the company tested over 1,000 isolates at four sites. This will be a standard 510(k) submission and typically the FDA takes around six months to review a 510(k) and the clearance rate has historically been around 85%, according to FDA statistics. We believe there is a high probability of clearance, especially as previously released data in 417 samples indicated that the test correctly identified the pathogen species in 99.5% of cases. The initial clearance will be in bacterial isolates, which have already been cultured from the original sample that may be blood, urine etc. OpGen expects to file a follow-on De Novo 510(k) submission in Q419. The difference between a standard 510(k) submission and a De Novo 510(k) submission is that the De Novo pathway is for devices that do not have a valid predicate. De Novo applications are associated with somewhat lower clearance rates and longer review periods. Clearance of this application would allow for testing directly from urine so that the results would not require a sample to be cultured (which can add 15+ hours to the process) and OpGen can truly differentiate itself from current methods (as well as the newer molecular entrants, which also typically depend on the samples already being cultured) by providing an answer in three hours. A direct from urine sample is especially important as the company will initially focus on urinary tract infections. That application will be based on 1,500 fresh urine samples and around 300 contrived urine samples at a total of five to eight sites. While the Acuitas AMR Gene Panel is a sound product on its own, what truly differentiates the OpGen solution from others is the Acuitas Lighthouse software. Lighthouse is cloud-hosted and includes a few key components: the Acuitas Lighthouse portal, which is a web application, the Acuitas Lighthouse Prediction Engine, data analysis software that draws from Lighthouse Knowledgebase, a relational database management system. Data from the Acuitas AMR Gene Panel is input into the Lighthouse portal and the Prediction Engine component indicates whether there is evidence of resistance due to the presence of certain genes and if there is any known intrinsic resistance to certain drugs (up to 14 antibiotics across nine antibiotic classes, including Aminoglycosides, Carbapenems, Cephalosporins, Fluoroquinolones, Polymyxins, Penicillins, Sulfonamides, Trimethoprim and Vancomycin). The final results are reported in a Prediction Report and the Resistance Dashboard interface in the portal. A key foundation of the Lighthouse system is the Lighthouse Knowledgebase, populated by data from the Merck Study for Monitoring Antimicrobial Resistance Trends (SMART) archive, which has collected more than 250,000 bacterial pathogens over the last 15+ years as well as thousands of additional pathogens from other sources. Importantly, the Knowledgebase is constantly growing, as every time the test is used, data from that specific case of infection are added to it. As the Knowledgebase grows, we would expect the Lighthouse Prediction Engine to make better predictions over time. In order to be commercialized broadly, the AMR Prediction Engine would need to obtain an FDA De Novo 510(k) clearance and we expect a submission in H219. The total data set that will be submitted to the FDA will include 2,000 representative isolates, 1,500 urine samples and resulting isolates, and around 300 contrived urine samples. Based on data that have been disclosed (see Exhibit 5), the Prediction Engine has a sensitivity of 90–91% (ie a 9–10% false negative rate) and a specificity of 83–90% (ie a 10–17% false positive rate), which from our experience indicates that the Prediction Engine is relatively accurate. Source: Walker et al., Predicting Antibiotic Resistance in Gram-Negative Bacilli from Resistance Genes. Antimicrobial Agents and Chemotherapy. 63:e02462-18. Opgen. OpGen also currently markets 12 QuickFISH and PNA FISH products, which are used for the identification of various pathogens, including Staphylococcus, Enterococcus, Gram-negative bacteria and Candida, with pathogen identification and differentiation information coming 20–90 minutes after positive blood culture results. Approximately 70 accounts, including academic medical centres, tertiary care hospitals and community hospitals, have purchased FISH products over the previous 12 months, and we would expect these to be some of the first candidates to purchase the Acuitas family of products once 510(k) clearances are granted. A key test of the use of the Acuitas AMR Gene Panel and Lighthouse software will be in New York State. In September, OpGen announced a collaboration with the New York State Department of Health and Merck’s ILUM Health Solutions (the collaboration is called the New York State Infectious Disease Digital Health Initiative) to develop a tool to detect, track and manage infectious disease and antimicrobial resistance across the state. Importantly, this collaboration is not dependent on any FDA approval as it is considered to be a research use. The first portion is a 12-month development project in which OpGen will work with the Department of Health’s Wadsworth Center and ILUM to develop an infectious disease tracking platform that connects hospitals to the Department of Health to facilitate state-wide surveillance. The company will receive $1.6m over the first 12 months during the demonstration portion, which has already started, with full implementation in New York State’s more than 170 hospitals expected over the next five years. Currently, Acuitas Lighthouse software and Gene Panel systems are being installed in three tier 1 health systems in the New York metropolitan area. These systems comprise 35 hospitals and total 12,000 beds. 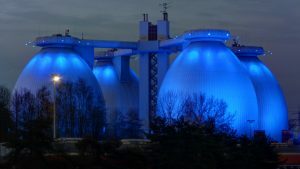 Depending on the outcome of this collaboration, additional states may come up with their own similar surveillance initiatives, which could accelerate the commercial adoption of OpGen’s systems. Catheter-associated Urinary Tract Infection (CAUTI) Toolkit by Carolyn Gould, MD, Division of Healthcare Quality Promotion, CDC. Wagenlehner et al., Therapeutic challenges of urosepsis. European Journal of Clinical Investigation 2008; 38(S2):45-49. Lob et al., Susceptibility patterns and ESBL rates of Escherichia coli from urinary tract infections in Canada and the United States, SMART 2010–2014. Diagnostic Microbiology and Infectious Disease. Volume 85, Issue 4, August 2016, Pages 459-465. It is therefore relatively clear why OpGen has decided to focus on the cUTI market initially. It is a massive problem at hospitals (which, besides dealing with the infection itself, also have to pay the bill because the infection was hospital acquired), increasingly difficult to treat and is typically diagnosed with urine samples. Over time, OpGen expects to expand its focus to other indications with lower respiratory infections (including pneumonia), as this is a major problem at hospitals. Hospital-acquired pneumonia is the most frequent hospital-acquired infection in intensive care units and, while not as frequent as catheter-associated cUTIs, is associated with higher morbidity, mortality and cost.9 However, OpGen would first need to come up with a new Gene Panel product with different pathogens (since pneumonia-associated pathogens often differ from those associated with cUTI, although there would be some overlap as P. aeruginosa and K. pneumoniae are also common in hospital acquired pneumonia cases10) and ideally one that can analyze sputum samples, the primary sample method for detecting pneumonia, although samples could be analysed via the bacterial isolates route. 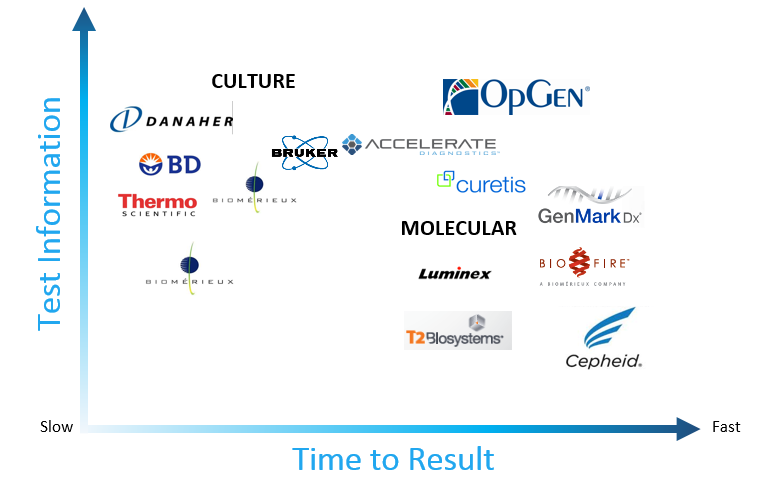 OpGen faces two types of competitors: traditional culture-based competitors that provide a lot of information over several days and the molecular diagnostic players that provide less information, more quickly. If OpGen were simply marketing the Acuitas AMR Gene Panel, it would probably be positioned squarely in the middle of the molecular players, sacrificing the amount of information provided for speed. Typically, it has been focused on pathogen identification, with antibiotic susceptibility information having to come from traditional methods, which can take days. What sets OpGen apart and makes its offering arguably the best of both worlds (the amount of information of a culture-based method in the time of a molecular-based method) is the Acuitas Lighthouse software, which also provides an antibiotic resistance prediction in three hours. Also, other than Curetis, competitors are typically not specifically focused on the cUTI market, instead focusing on generic blood culture identification or Gram-negative bacteria or broader areas such as sepsis. Despite the competition, given that it is still early days in this market, OpGen certainly has a chance to gain a decent foothold. The only things OpGen’s products are missing versus the competition are real world cost-benefit studies where usage of OpGen’s suite of products helps reduce hospital costs. These take time but will help adoption once in hand. Focused both on pathogen identification and prediction of antibiotic resistance. Initial approval will be in bacterial isolates, but will expand to direct from sample with urine test. Direct from specimen, no culturing required. Launched Unyvero platform in the US in 2018. Focused on pathogen identification. Depends on blood culture. Gram-positive test approved in 2018 and Gram-negative test expected in 2019. Focused on pathogen identification. Depends on blood culture. According to the American Hospital Association, there are around 6,200 hospitals in the US. 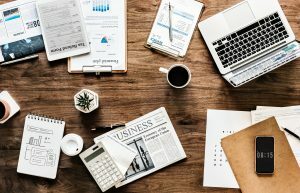 OpGen currently has a very small sales and marketing team, which handles around 80 accounts (mainly for the legacy FISH-based tests) and, while the company will certainly grow its commercial organization after 510(k) clearance, it is unlikely that it will grow enough to penetrate every hospital in the country. In our projections, we therefore assume it will penetrate less than 7% of hospitals by 2025 with its Acuitas family of tests (up from the ~12 hospitals currently penetrated and the 40 we expect to be penetrated in 2020) though we do expect the company to focus on the larger hospitals so that 7% will be associated with a larger percentage of the total number of cUTIs in the country (the top 24% of hospitals are associated with 57% of the beds according to the American Hospital Association). We also expect the company to expand its focus over time beyond the cUTI market as we note that the initial Gene Panel 510(k) application in bacterial isolates is not indication specific so the test could be used across diseases and the New York State Infectious Disease Digital Health Initiative is focused broadly on infectious disease across hospitals in the state. Pricing has not been finalized, but we assume that equipment will be leased at approximately $20,000 per unit per year. We also assume approximately 1,000 tests per hospital at peak although we expect far fewer per hospital in the near term (100 in 2019 and 300 in 2020). We estimate pricing at $175 per test as the company has suggested a $150–200 average selling price (ASP) covering both Gene Panel and Lighthouse. This pricing assumption seems very reasonable as the current procedural terminology (CPT) codes in the emergency room (note there would not be reimbursement in the in-patient hospital setting as infection costs are bundled) should provide around $220 per test according to T2 Biosystems’ analysis. We also assume that average pricing will increase at 4% per year. Based on these assumptions, we project $76.8m in revenues in 2025, growing to $174.1m in 2040. Note that we are currently not estimating any revenues outside the US as OpGen’s management is domestically focused at present. However, the company did announce a contract from the CDC to develop smartphone-based solutions for infection control in low and middle income countries. In partnership with Merck’s ILUM Health Solutions (with which it is also partnered for the New York State Infectious Disease Digital Health Initiative), software was deployed in three sites in Colombia and OpGen is in discussions to establish a distribution relationship for South America. If the company becomes more active globally, we may need to increase our estimates accordingly. In the near term, the key risk for OpGen is regulatory. To maximize its commercial opportunity, it will need to have three separate 510(k) clearances, starting with the AMR Gene Panel in bacterial isolates (ie samples that have already been cultured), moving on to a De Novo 510(k clearance to test directly from a urine sample and culminating in a De Novo 510(k) clearance for its Lighthouse bioinformatics software to analyze the data. 510(k) applications typically have a very high success rate of around 85% and relatively short review times of around six months, but the approval rate is lower (64% in 2018) and the review time longer for De Novo 510(k) applications (typically eight to nine). While the regulatory risk is not particularly high, it is not to be ignored either and could have a major impact on near-term forecasts. There are also commercial risks. The main customers for OpGen’s products are hospitals, which are notorious for long sell cycles and cost sensitivity. However, hospital-acquired infections (HAIs) are a large financial burden, with the cost being borne by the hospitals. The total cost of HAIs is estimated to be $10bn across the US, according to a 2013 study published in the Journal of the American Medical Association (JAMA). Hence, any technology which will help limit the impact of HAIs by reducing length of stay, as well as minimizing the risk of further complications, may be welcome. Also, agreements with state departments of health (like the partnership with the New York State Department of Health) will help facilitate access to a number of state hospital systems. 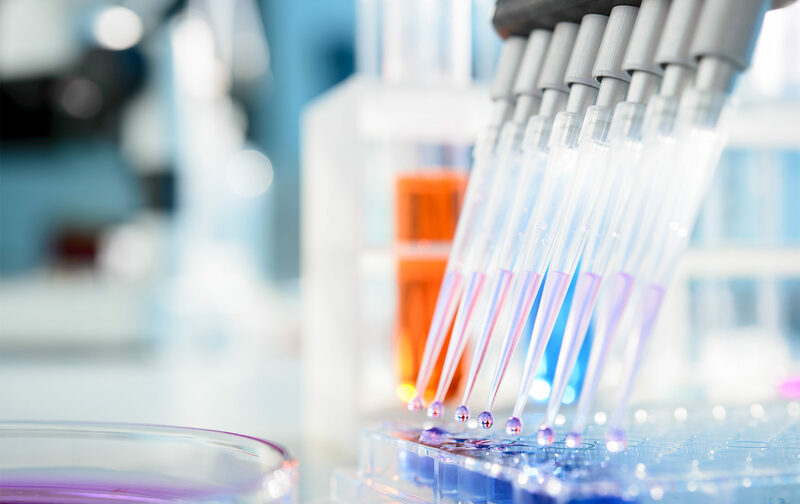 Another commercial risk is the fact that clinical pathology is a very competitive area where OpGen will be vying with a number of established players and new entrants. In combination with the Acuitas Lighthouse software, the Acuitas AMR Gene Panel appears to provide a best-in-class product, especially with regards to the cUTI market. However, best in class does not always win the day in gaining accounts as some hospitals may simply have existing relationships with some of the larger competitors. It is important to note that this is not the first time around for Evan Jones, chairman and CEO of OpGen. He is a highly experienced molecular diagnostics industry veteran, with a 16-year tenure as CEO of Digene, which was sold for $1.6bn to Qiagen. He was also on the board of Foundation Medicine until its acquisition by Roche in 2018 for $5.3 bilion and currently serves on the board of Veracyte. There also is intellectual property risk. While the company has ownership rights to eight issued and three pending patents relating to its FISH products, there are no issued patents relating to the Acuitas products, although three are currently pending. The company does plan to file additional patents, but until patents are issued it is hard to tell what exactly the intellectual property-based barriers to entry are. Of course, there are other barriers, such as know-how. Even without patents it would be extremely difficult to replicate the Lighthouse Prediction Engine as its performance is based on the large number of inputs it has already received from the Merck SMART database and tests already performed by the company. Also, we would expect OpGen to continuously innovate the Lighthouse product, making it and its performance a bit of a moving target. Finally, there is heavy dilution risk due to the current market capitalization of the company. Historically, OpGen has raised equity that has been relatively expensive and quite dilutive. 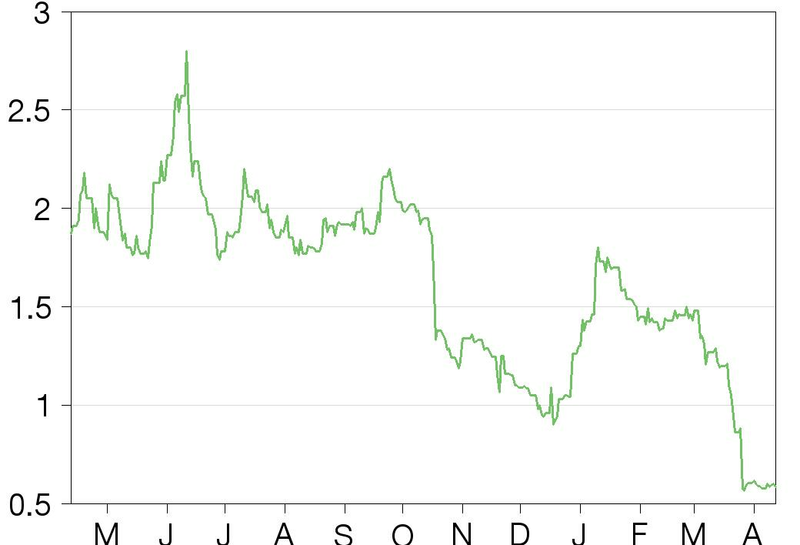 The public offering in March raised $5.4m in gross proceeds ($5.0m net) through the issuance of 9.0m shares (over half of the current total) at a greater than 30% discount to the previous day’s stock price. We arrive at an initial valuation of $47.3m or $2.68 per basic share, which is based on a series of assumptions about the key components of the company’s platform, namely the Acuitas Gene Panel and Lighthouse products. We assign a 40% probability of commercial success, which blends FDA and commercial risk in equal proportion, roughly around 60% each. While 510(k) applications typically have high clearance rates (85% in 2018), De Novo 510(k) applications (which the Gene Panel test for urine samples and Lighthouse software are) are cleared at a lower rate (64% in 2018). The commercial risk stems from the fact that this is a competitive area so an additional risk parameter is warranted. For the legacy FISH business, we model a 5% annual decline in perpetuity as sales have been falling and this line of business will be less of a focus going forward (although there is a chance it could grow as OpGen gains more accounts for the Acuitas products). As mentioned previously, for the Acuitas products we estimate around 10% peak penetration in hospitals, with around 1,000 tests per hospital and pricing that starts at $175 per test (although we have pricing increasing at 4% per year). We expect gross margin to improve to 70% over time as volumes increase and for sales and marketing expenses to ramp considerably from $1.5m in 2018 to around $10m by 2022. R&D should continue to grow gradually as OpGen continues to innovate additional Gene Panel tests, as well as the Lighthouse program. All this was modelled using a risk-adjusted NPV model with a 12.5% discount rate, which runs through 2040. We chose 2040 simply because we expect additional patents to be filed in the next year or so, which would extend patent protection until at least 2040. Beyond any patent protection, we expect know-how to be a major barrier to entry for any competitor, especially with regards to the Lighthouse software, which we expect to constantly be improved (we project continued R&D spend through to 2040 as continuous innovation will likely be required to stay ahead of competition). One item that deserves some discussion is the number of options outstanding. On the face of it, if the 3.7m options and warrants are exercised, this would lead to around 17% dilution. However, the majority of these options are well out of the money and may expire before the stock reaches the exercise price (see Exhibit 9). The company also has more than 200,000 stock options with a weighted average exercise price of $20.58. In other words, there would need to be significant appreciation in the stock price before any dilution from these warrants or options is felt by investors. Source: OpGen. Note: *$70.57 is the weighted average exercise price of the warrants. OpGen’s 2018 post-tax loss was $13.4m, down from a loss of $15.4m in 2017, with the decline mainly attributable to reduced operating expenses, namely R&D expenses, which fell from $6.9m to $5.7m, and sales and marketing expenses, which decreased from $2.8m to $1.5m. For 2019, we expect total revenue to grow from $2.9m in 2018 to $4.0m, with the growth mainly due to revenue associated with the New York State Infectious Disease Digital Health Initiative (currently expected to be $1.6m in the first 12 months). OpGen reported $4.6m in cash and cash equivalents at the end of 2018, and raised an additional $5.0m in net proceeds in an equity offering in late March (gross proceeds of $5.4m through the sale of 9m shares at $0.60/share), which we believe is enough to fund the company into Q419. We model an additional $5m worth of financing for 2019, and $41m in total through to profitability in 2023. Per Edison policy, we assume future financings are to be funded with debt. Mr Jones is the chairman and CEO of OpGen and the managing member of jVen Capital, a life sciences investment company. Prior to forming jVen Capital, he was co-founder, chairman and CEO of Digene Corporation, a publicly traded biotechnology company focused on women’s health and molecular diagnostic testing. He was a board member of Fluidigm and Foundation Medicine, and is currently a board member at Veracyte. Mr Jones is vice chairman of the Board of the Children’s National Medical Center and a board member of the Children’s Research Institute. Mr Dec has more than 20 years of public company financial leadership experience in the technology and healthcare sector. He has served in CFO and other senior financial executive roles at companies in a number of industries, including three publicly traded companies listed on Nasdaq or AMEX, such as Corvis Corporation, and at private equity-backed companies. From August 2007 to December 2012, he was senior VP and CFO of Fortress International Group, a publicly traded company. Mr Sapiro joined OpGen in December 2011, with responsibility for leading the development of its bioinformatics applications, software, databases and information technology operations. Prior to OpGen, he was senior VP at SAIC-Frederick, overseeing the information systems program for the National Cancer Institute at Frederick with responsibility for information technology, scientific computing and bioinformatics. Previously, Mr Sapiro was VP for information technology with the J Craig Venter Institute. He is active in the regional and national technology and research communities, having served on many life sciences and biotech-focused advisory boards and review committees. Dr Walker’s responsibilities include leading the development of genomic technologies and new products supporting molecular diagnostics for infectious diseases. Prior to OpGen, he led drug target validation, biomarker discovery and clinical diagnostic development at Pfizer, GlaxoSmithKline (GSK), Becton Dickinson (BD), Duke University and The Biomarker Factory across most disease areas and stages of development from discovery through late clinical trials. Dr Walker received his PhD in biophysical chemistry from the University of Rochester with postdoctoral training in biophysical chemistry at the University of California, Berkeley. This report has been commissioned by OpGen and prepared and issued by Edison, in consideration of a fee payable by OpGen. Edison Investment Research standard fees are £49,500 pa for the production and broad dissemination of a detailed note (Outlook) following by regular (typically quarterly) update notes. Fees are paid upfront in cash without recourse. Edison may seek additional fees for the provision of roadshows and related IR services for the client but does not get remunerated for any investment banking services. We never take payment in stock, options or warrants for any of our services.